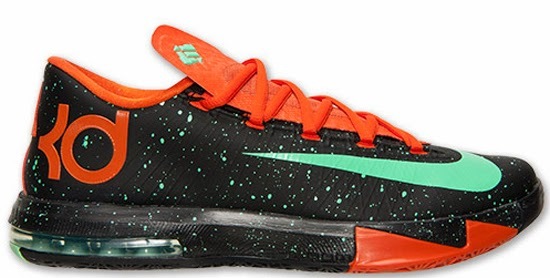 The latest colorway of the KD VI inspired by his time in Texas is now available. 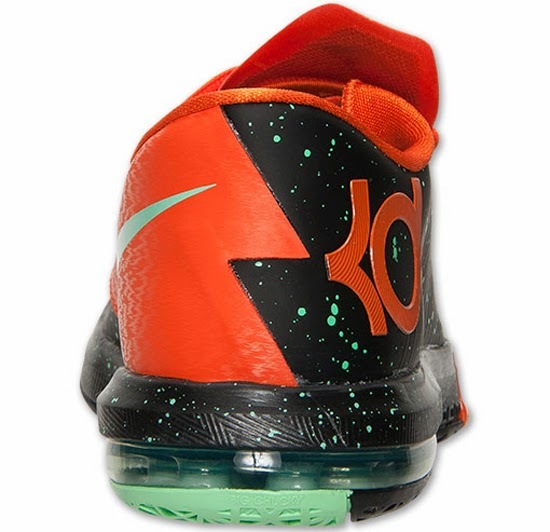 This Nike KD VI comes in a black, green glow and urban orange colorway. Made to pay homage to the state of Texas where Kevin Durant called home during his college days playing for the Texas Longhorns. 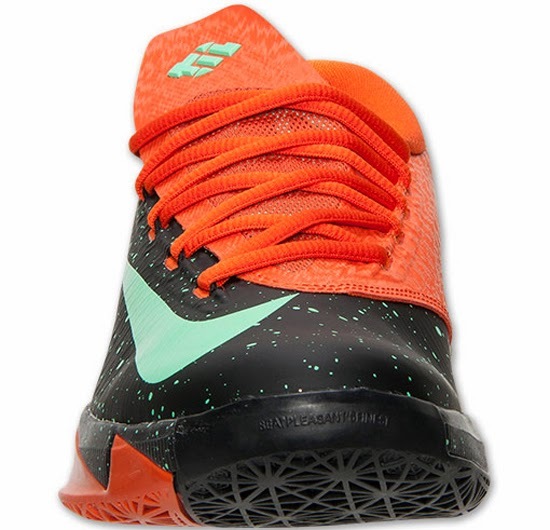 They feature a black based upper with green glow and urban orange accents. A paint splatter design on the upper has a glow-in-the-dark affect adding a little extra flavor to this pair. They were a general release on Thursday, October 10th, 2013 and are now available at select Nike accounts worldwide. Retail is set at, $130. 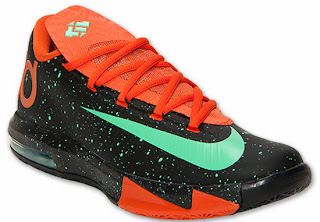 Enjoy the official images below of the "Texas/Glow-In-The-Dark" Nike KD VI in black, green glow and urban orange. If you're interested in picking these up when they release, check in with your local spots to see if they received them. Those of you looking for a pair now can, grab them from eBay here.